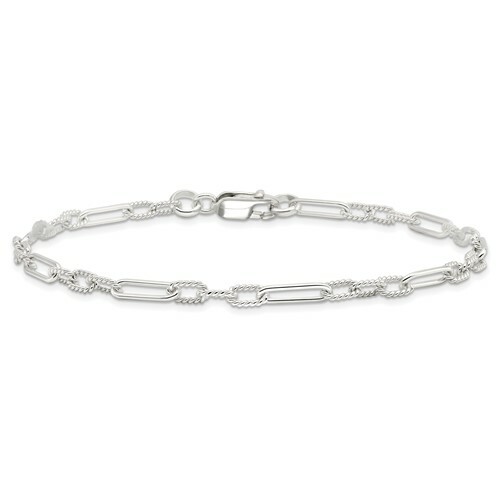 Sterling silver 10in anklet has textured and smooth links with a lobster clasp. Weight: 6.3 grams. Import.